Ideal Regency - I-Regency Condominium, the modern living lifestyle resort condominiums located in Bukit Gambier, Penang at the vicinity of University Science Malaysia (USM) and is only minutes away to the Penang Bridge and Bayan Lepas Free Trade Zone. I-Regency condominium offering resort lifestyle with all the necessary features such as lush landscape gardens, pools and recreational facilities. The residential scheme consists of total 5 condominium blocks, 8-storey and 21-storey building. I-Regency comes with three types (Condo-villa Type 1 & 2, Sky-Villa) and has a spacious built-up area from 1,200 - 1,500 sq.ft. Built-up Area : approx 1,325 sq.ft. Built-up Area : approx 1,500 sq.ft. Built-up Area - approx 1,200 sq.ft. Does anyone wish to let go off their unit for this condo? I m interested to buy. By the way, Ideal developer is going to launch a new condo project in coming months? Anyone knows about this? May i know how to get more information or any contact number or where is the sales office?thank you. Hi, pls refer this site for more info. http://www.idealhomes.cc/. I think their new project should be The One which the site is opposite PISA. According to the developer(Ideal homes), this project - Ideal Regency would be completed by early 2009. Is there any purchaser on this condo? any Sky-Villa unit for sale? how much? I think the price for Sky-Villa with 1200sqft is around 350K-370K if not mistaken. I hv booked a unit with 1550sqft. However...when i looked at the actual site, the blocks are actually very close to each other... I don't feel comfortable with it.. any comment? How much hv you bought for 1550sqft unit? I think this type of unit is facing the pool view and corner unit. Which level have you booked for this unit? If your unit is above 12 floor, then it should be not blocked by the Condo-villa which is total of 12 levels (9 levels residents & 3 levels of basement car park). How many car park hv been inclusive for each unit? Hmm... not convenient to disclose the floor of purchase right now. Total price is RM400k-RM410k (2 carparks) for 1550sqft. Yes, it's facing swimming pool. My concern is the blocks (sky villa, condo villa & commercial lots) are too close to each others. I have viewed the model of the whole project (I-Regency & Palazzia), in fact, there is a road which separate between these two buildings. This road is used for vehicle entrance/exit from the basement car park for Palazzia. I am not sure what kind of shops or restaurant for this commercial building. Hopefully there would be a high class of restaurants similar as E-gate style. Another observation from the site is that the pool is not locate at on top of the basement car park(as seen at the model house)...do you notice that? hi, are u one of the buyer? I din take a close look by going into the site and thus i am not too sure of the swimming pool location. I have looked at the commercial lot and it's extremely close to condo villa. It's a lot different when you compare to the model shown in the office. That make me feel regret in taking the unit. Furthermore, there is a temple at the road site and i can assure you that it would be an annual event whenever there is any festival where we will have 'free music' till 12 midnite. I know about it coz i stayed in Gambier Heights 2 yrs ago and I can 'enjoyed' it annually. i don'y think there will be high class restaurant there like e-gate. look at the shop lot at ivory plaza and around that area, then u can know what type of shop will be open there. the location not an attraction to the high class restaurant. even crystal point also cant compete with egate, dont think the high class restaurant will consider that area. I see that there is not much comment on this project so I adding a comment here. Actually I have been to the sales gallery today. Just give you guys an update on the interior material they used. All tiles are from White House and bathroom stuff are from Johnson Suisse. Looking at the quality of it, seems to be pretty nice and very nice quality. Agreed as material from White House and Johnson Suisse are branded and in good quality. I hv informed by the developer mentioned that the temple would be relocated to the opposite site of Gambier road (arround Sunway Gambier) as there will be a road built via this temple to the entrance of this condo. This property has a strategic location and low density.Does anyone wish to sell their unit for 1200sqft? On top of the material used, here is another information regarding the car park. Developer told me that the total no. of unit is 258 but they actually have about 500+ of car park available. Although they only gave 1 free car park. Developer has made many "upgrades" on the unit. Like extra lighting points, bathroom wall tiles (originally 7 feet high only but now they extend all the way up to ceiling). SPA state that the unit built up area is 950 sq ft only but developer will do renovation to extend it to 1200 sq ft after obtain OC. During sub-sale ppl will base on size state in S&P and fix the value ... this mean the value will base on 950sq ft instead of 1200sq ft ? seems like many developer using same method recently , any expert here can explain y ? Yes, when we apply bank loan, property valuer will value the property based on size stated in the S&P as well. normally developer not so well known will use this strategy, i dint c ijm or IOI palmex use this method, they write the actual size in the S&P. i heard from lawyer that when the proporty wanna apply for strata title, the govenemnt will only spprove it if the size is same as the S&P, so i wonder those property which hv smaller layout in S&P, but do the hacking to extend can able to apply the strata title successfully or not. maybe those developer don't care about it, as if the property under master title, owner will need to pay sum of money to developer if wanna sell it. i think better to investigate properly, i think a lot of property in penang dont hv strata title due to this. Hi! Is there any issue for strata title approval if they have another agreement to indicate the extended area of 250sqft to 1200sqft per unit? TQ. Hi everyone... by looking at the price of Palm Palladium hike up to RM 335,800 onwards (lowest floor) and RM3k for every floor up... I think we purchaser for I-Regency will benefit from it! hahahahaha... I'm very happy! Agreed as Palm Palladium is not a strategic location. The only accesss road to this condo is from Gelugor rd which we have to spend ~5 minutes each time we travel to or from the main road. I-Regency is locate near the main rd (Gambier road) and very convenient which beside the commercial shop center(The Palazzia). Does anyone know that the shop lot for palazzia has been sold/rent to which type of restaurant. as per the developer , they are going to get in starbuck opening there...does it thruth? I also heard the developer mentioned that there would be almost similar type of restaurants with E-gate at Palazzia as the commercial lots unit price is quite expensive and not affortable for lower class shop/restaurant.Besides, the commercial center is near usm and might attract students for dining and meeting area. haha...how many of the students can afford to spend in those high class restaurant....??? IF the demand is there...why you can't see any of them open in Ivory Plaza...which is even more close to the students hostel. Let's wait and see how's the progressive of this commercial center as there are several residential projects are in progress surrounding at that area eg. Sunway Gambier, ASHLEY GREEN (Boon Siew Group) and etc. Just want to dig some history about the developer. Does anyone know when was the official launching of I-Regency and when they actually started the construction? It was 1st launching in year 2005 and already informed buyer that the condo will only be started in 2007. 1200sqft during launching was RM288k onwards with discount of RM28k (year 2005). The price was increase to RM300k onwards with no discount (year 2006). Did anyone checked out the developer financial status? how much is the maintanance?? ?and the price for the 1550sq ft is?? I heard that this developer financial background "so so" nia. For those who always critisize this condo and that condo and make people unhappy, please be more rational. People are buying their homes with happy and long waited heart for there dream home to complete. And, because of the criticism going around, you will affect people's mood and make them regret of buying the condo, what is the point? There must be some good and bad sites of a condo, so just be mild and positive in giving comments. Hi! you all can go to Penang iternational propety expo at Pisa 14-16 March 2008 if you hv any enquiry about the developer - Ideal Homes. Anyone visited Ideal's website recently? It seem to be done for almost 1 week already. Anyone knows what is wrong? I want to see the site progress picture that they upload monthly. I agree that its not nice to critisize a project but instead everyone is free to voice out their comment. That's why its a blog. For those who are already buyers its too late for anything if you hear a negative comment. Of course, you will be happy for any positive ones. Anyway, I guess the main purpose of all the comments by everyone here is to share findings and thoughts be it +ve or -ve. Let be realistic, if a +ve comment its true then buyers will be happy but if there're some facts behind -ve ones, then you can choose to ignore and keep on cheating yourself. Have an open mind and think logically. Want to have a feel whether some comments are true or not, go to the site, look around for a few minutes and check out the surroundings. Then your eyes and brain will tell you whether you are making a suitable choice. Went to PIP at Pisa last weekend and have visited I-Regency booth, there is only left 1550sqft units (7 to 8 units) and Penthouse (for Sky and Condo villa). What is the best rate for the housing loan that you have received for the finance and which bank? Appreciate your feedback. may I know who is architect in charge? The architect in charge is Mr Vincent Liew. Hi..for the BLR-2% whole tenure package.May I know which bank do you get it from? UOB. If u dun mind, I can intro UOB banker to u.
Hi, may i know the UOB package of BLR-2% is non-ZEC or ZEC? Thanks. When I checked with UOB 2 weeks ago, they said their quota for this project is full. Anyone here who bought the 1200sqft or 1330 sqft units? Would u like to let go, and at what price? I think it is possible that this condo can be sold at RM500k in the next 5 years for 1150sqft when it is completely built. Just based on Bayswater which they have already sold RM400k and above for 1170 sqft (RM342/sqft). Comparing Bayswater and I-Regency both also have strategic location and freehold. Both also near hypermarket- Baywater near Tesco while I-Regency near Tesco Extra. Furthermore, in front of Baysawter has E-gate while I-Regency has The Palazzia commercial center.Density wise, I-Regency has lower density than Bayswater (I-Regency =257 units; Bayswater = 396 units). Facilities for both almost equivalent. Car park facility for I-Regency is more convenient as it is located at basement with lift while Bayswater's car park is located at separate building. Based on these few factors, I think the selling price for both condos are comparable. What do you think? Sorry for typo error above is 1550 sqft not 1150 sqft. yes, i agree.. however, we have to accept the truth that as working employee, we merely afford half a million property. therefore, we have to buy in the facts and buy the property matching with our affordibility. This is nothing government can do on property pricing in island, we still can choose to stay in mainland where we can stay in DS landed with less than RM300k. 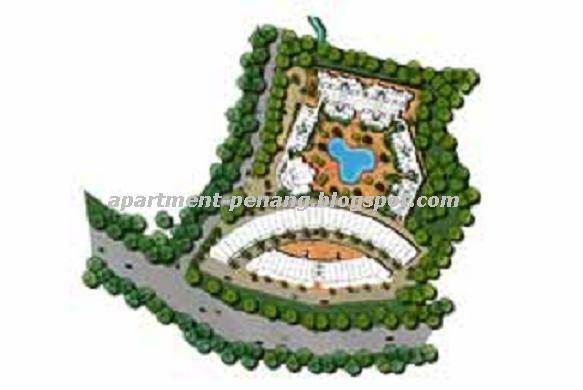 If we insist to stay in island, then choose places with smaller sqft with cheaper price. I hv chosen I-Regency coz I need the space it provides although I have to bear the higher cost. I'm rather disappointed too as I dun afford to buy landed property in island. Perhaps I-Regency gives me a harmony and pleasant accommodation environment. I agreed. So far, I-Regency has the most strategic location and low den newly condominium in Gelugor and Bayan Baru areas. Hopefully the developer would speed up the project and complete by early 2009. Lately, the price for Block E,level 22 is RM400K with 1 car park. Can someone advice what is the price for the same level earlier when you signed up? Thank you for sharing the information. What is the unit build up area did you mean?Thanks. No show house available as more than 90% already sold out. Construction site at beside USM, Jalan Bukit Gambier (opposite University Place condo). 450K for 1200 sq ft with 2 car parks. is that reasonable? huh? 450k for 1200sqft with 2 cp? The earlier says 400k for 1550sqft with 1 cp. Actually how much does this condo cost? Hi can you give more details on the apartment. If 450k for 1200 (with 2 cp) on higher level is reasonable. But must be higher than 10th floor. What level is the apartment? Total floor is 21 levels. I have 1200 sqft top floor with 2 car park. condo villa is 1325sqft. You sure u got the price right ? I bought lvl 7, 325k for 1 car parks. 0% instalment for car additional car park. Developer absorb legal fees+interest until OC. i just bought the shop lot during CNY. Most probably will rent out. Any other buyer here? wow... you are shoplot owner! Please rent it out to McDonald/Oldtown Kopitiam/Secret Recipe/Bank... then i can just walk down from my house to enjoy the facility! No chance for McD as the unit is quite small. Mine is the row behind which is smaller so no chance for McD. But yes for cafe, clinic, optical shop, saloon.... anyone interested to rent? How much you bought for the shop lot? You can rent to coffee bean or starbuck cafe? Its almost 80% done when I bough. Anyone have an idea how much when it was launch? 1. What will be built on the land behind IR? 2. I think the entrance have change to the road behind Palazzia, anyone can confirmed? 3. Anyone agree the car park is expensive? Can further bargain with developer? 4. Can ask developer to add more power point and air con point? 5. Any other problem with this condo? in Penang, most of the property using sand brick, except those branded developer. The quality material is refering to tiles and bathroom accessories.... I think. Thanks for your input.... where u get this info? I wish to find more info about IR. Cannot listen to developer only. i hav booked one unit of sky villa too. How to negotiate the carpark price? It's expensive as when top up with the original purchase price. The entrance moved? Why the developer keeps silent about it? Where you got the info that the entrance will shift to behind Palazzia? How much is the 2nd or 3rd car park now? The enteracne I menat was the guard house. Initially facing the road at the side, now take 90 deg anti clock wise turn. I bought at 15K for 2nd carpark. I though OK that time, but other project give a lot of discount. I think extra car park costs 15K is normal lo. I heard Oasis 2 car park 17K. True bo? What is the car park price for other condo? Purchase Oasis condo unit is without a free car park. That's mean actually the 2nd car par cost RM17k which is expensive than I-Regency. but their car park is front and back, IR one side to side, better. Yup, that's what I meant...if you considered 2 car parks for IR and Oasis. IR cost RM15k (caused already free 1 car park for each unit purchased) while Oasis cost RM17k (caused no free 1 car park for each unit purchased). I saw the advertisement during CNY that there will be 3K rebate for 2nd car park? Anyone can verify if this is through? 1. The wet kitchen is too small. 2. Dinning area at the entrance to bedroom is not nice. If move the dinning area to dry kitchen, space maybe not enough. 3. In master bedroom, the space behind the door is too small to built a wardrobe. And no other suitable location. I might need help from interial designer. Any recommendation? I am one of the buyer too... I went into the construction site and that really not a big issue. I love the space provided coz really no wasted space like long entrance hall, etc. 1) Wet kitchen is too small. I have calculated the sqft, it's just nice to fit in the kitchen cabinet, around 7ft x 6ft. I hv thot of converting the maid room into wet kitchen and tranform wet kitchen into dry kitchen. 2) You may put the dining table at the originally 'dry kitchen' area and you will enjoy a very spaceful area at the entrance to rooms. 3) Ya... i agree with your point of wardrobe issue in master bedroom... but no problem, i have seen a show unit in KL, we can design it as walk-in wardrobe by tranform the toilet entrance as part of the wardrobe. Hi, thanks for sharing your opinion. You are allowed to go into the site? I would like to have a look also but the sales said this is not allow to avoid any accident, which would cause the constuction work stopped. 1. I still need the maid room as a store room. I might just change the room's door at wet kitchen, to the enterence. But I am still looking for bette idea. 2. Your idea is good. But I still need the maid room. So, I may not apply your idea. 3. I can imagine what you tried to descrip..... do you have any link? 4. Should be air-con yard. Some condo do have a small yard outside the window for compressor. But IR do not have this. All the lowest level for all 5 blocks are the private garden for the lowest unit. If the air-con can install just outside the window, the water will drop onto the private garden. Also.... if install a hood, can I do the truncking out to the corridor? Or must out at the air well? Any idea? dear all, any units available? wat's the market price for sky villa? with 2 CP?? Hi COSHIN, you may check with the developer at 04-6456888. Last time, only left units with 1550sf which was seeling above 400K. Regarding market price, Univertity Place (Ivory) is selling at about RM300 per sf. I-Rengency minimum lot size is 1200sf. So, should be minimum 360K already. But I doubt anybody will sell at 360K because I-Regency is very much better than U Place. I don't have the link to show the reno portion of walk-in wardrobe... nvm, let me check out the website and if I found any, I will share it here. For the air-con yard, no worry, they cant restrict us to put the compressor outside the unit. Just check out the other apartments or condos, they did it so far to install the compressor outside. As for the available unit, I believe there is but only 1550sqft available. I believe the market price for sky villa, 1325sqft has now ask for RM390k. Other condo do not have the private garden at the lowest level. You sure we won't get complaint? I actually plan to install 5 air-con. this is important. I'm not sure there is private garden... hehehe... i bought the corner unit at high floor, so I din realize there is private garden for lowest floor. For your corner unit, you should have the air-con yard at the 2nd master room. For those who still want to buy this condo, there are a few sub-sales units through the developer sales office. You may try your luck. When I checked with them 4 months ago, there was a semi-D unit at level 5, block D, 2 car park, sell at only 365K. Now maybe more expensive, but I think that is a good unit. all, i was almost one of the early buyer signing up but cancelled in a week time. Well,I just found this website & i am glad to share some insight of mine. This is by no means to criticize but just an advice. At that moment, the model & plan did not match and it worried me. Besides, basic S/p calls for small sqft & extendable to a larger size. That was not a main reason but i consulted my experience friend in KL and checked this project. This land is owend by many state owners and the residential land title is combined with commercial tile. In summary, commercial law overruls residential property right. Besides, the extra size for extension will become a common land. No law has been set on this yet. So, i swifted to other project. Hope this helps. i doubt the expected completed price for this condo unless there're already proven transactions (at least >10). university place selling at 300/sqft?? any proof? in fact the developer its already selling the condo at a highly fair value. anything higher than the developer price is not worth. just imagine how may units of apartments nearby. do we have such population to fill all of them? most buyers are buying to "goreng". don't get me wrong i m not interested in this project at all. juz drop my 2 cents opinion. quoted : "At that moment, the model & plan did not match and it worried me. Besides, basic S/p calls for small sqft & extendable to a larger size"
Continued....About the 'combined residential & commercial title', an example happend in KL where the developer originally promised 2 c/p to buyers but was not later fulfilled. Only 1c/p was allocated due to reason of commercial use for the project attached to it. Many of local projects adopted size extension strategy due to 1)Original plan submission to Pg state housing dept was small & later developer decided to increase it. 2)Developing small size unit enables developer to gain some tax rebate. Buyers authorised developer to extend it but in legal aspects they are common area. Imagine a common area in your unit, funny right ? No strict hosing laws have been imposed whereby owner of the so called 'extended size' which will become common land soon will be required to pay to the Govt based on dollor/sqft years later. Well not a risk to take anyway! Lastly about multiple land ownership, it may complicate the procedures should there be any land caveat search or transfer or whatsoever like the Majestic Height trauma. Hi!Thanks for your info. Btw, do you have any black and white documents to indicate that the i-Regency's land is owend by many state owners and the residential land title is combined with commercial tile? 10 years ago, I will never expect a condo can sell at 300K, a double story house can sell at 600K and so on. Just refresh back that Sunway Tunas was below 300K during the launch and Bayswater was also below 300K. I have an offer for E-park for 190K 2 years ago, but now the price is ~250K. Hamna is about 110K but now >160K..... Don't surprise if the condo > 100sf continue to shoot up to 400~500K, unless the recession hit us soon. Appreciate the input from the anonymous who is nearly become our neighbor. We can always verify this with the developer. If today, Ideal-Regency is not that "Ideal" anymore, what should we do? Maybe you can let me know which project you actually switch to! Anyway, the answer from me is, I will still stick to this "Ideal" condo.... and I will move in. Current project in progress, almost all impacted with various problem. Just visit the blog for respective projects. Some of the problem is similar to IR. For those projects do not have same problem with IR, you will find other problem. So, it is about what type of problem you concern the most. If possible, I prefer SP Setia Pearl Island, to avoid all the problem a condo have ... but I am not rich enough. Also, landed property have its own problem as well. I have to say, this is Penang. However, I welcome you to tell me more weekness of this project, so we will be alert on it. All, you may call be casey (the nearly owner to be). One anonymous was asking abt the proof of multiple land owner and combined title. Well, a decision does not need proof to exit a game but it is based on comfort. If you are comfortbale and confident, pls go ahead by all means. I had made research and obtained confirmation from another source (a developer in KL), and thus I exit at that point of time. Things may improve & perhaps you can remain in the game. Of course if the project is ongoing, then multiple ownership does not matter as the land title will be yours eventually. Whether it is commercial attached to it, you will need to find out for now. One thing for sure is that I just confirmed with KL ppl, they don;t usually like common area concept. Many incidents where owners are required to pay back the RM/sqft to the govt on the common area. KL friends are wondering why penang ppl are so favourable to this concept? To the other anonymouse about 100% safe project, he is right that no project is safe but we gain from sharing with others. At least the critical ones are good to be avoided. Not good to comment other projects but just briefly look at Vista gambier, it is a new developer. Nobody knows its developer and workmanship is in doubt. 10 sorrounding houses suffered cracks & if the developer doesn;t response,the project may suffer stop order. The oasis,is also practising 3 agreement & a leashold. 1 contract for 900sqft and the other perhaps 200~300 sqft. The spring (leashold) seems like a hot cake but in S'pore ppl is avoiding leasehold projects. It does not bring value at all. Balcony viewing angle is 70deg. Bottomline, if we can choose the game why not we decide it upfront. If your foot is already in the game, play and change the fate of the outcome. But, pls spread around as I think Pg ppl really needs to think and learn from other states before we loose the game. Anonymous keep mentioning about KL. What does IR going to do with KL? Meanwhile Pg and KL think differently, no point keep comparing. As most of SG properties are lease hold and that doesn't mean SG are avoiding. Extension is common, nothing big to huha. all i see is the project is completing soon. Hi, Casey, again, I welcome your input. And you admit that other projects having various problem as well. If I were to exit IR, I have no place to go. So, maybe we should fix the outcome as you said. I still don't understand about the title with commercial attached by. Can you elaborate more so I can clarify with the developer. As for the extended concept, I do not accept it totally, but again, no choice as I live in Penang. IJM do not apply this concept, but, their other problem even worst. What I know is, condo with extended area will have difficulty to ontained the strata title in later stage. I will clarify this with developer as well. By justifying this few points, it is still justify for me to say this is the best ever condo I know in Penang. 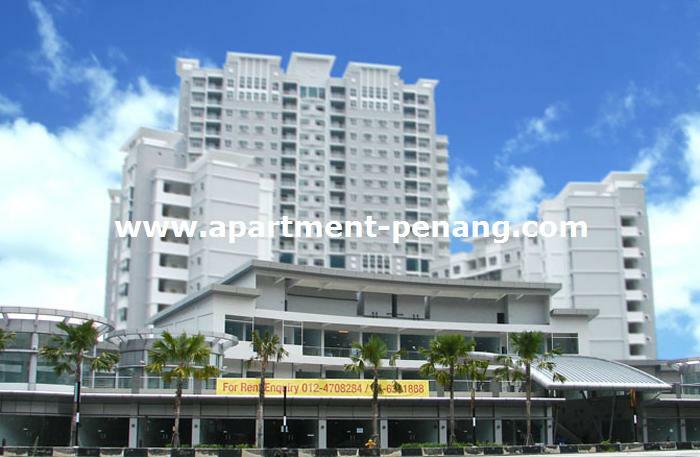 If make comparison, I will appriciate if you able to quote a condo in Penang, because I will not move to KL or Sg. I like Penang very much. Yes! 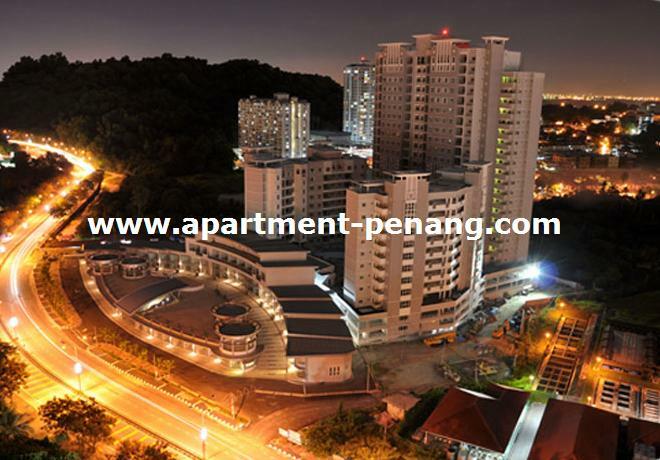 We love Penang and therefore, we have no choice to choose a comfortable spaceful home and I-Regency is our choice. We welcome any comments especially negative comments so that we can build up a resident community to gather the info and 'fight' with the developer or management when necessary. In fact, this project is going very smoothly and right now the condo villa is already reach top floor and now building the roof. As for sky villa, it has reached 11th-12th floor, I could say this project is promising. I have checked out that developer is actually applying 2 plots to build commercial & residential units. It's under 2 different title. For those have signed SPA, please check out the clauses in the agreement. Don't simple influence by ppl. You got to believe in your decision made. Hi anonymous, Thanks for the clarification on the land title for IR. Btw, is there any issue condo with extended area when applying the strata title? Pls count me in when you form the resident community later. Hi, nice to know all the IR buyer can start to work together now. I heard this project having land problem back in 2004/2005, but already settle. Some of the bank mortage sales can tell you the story. And today, IR seems to be less problem compared to other projects in the same period. Regency Height made a very success story and I-Regency could make another with better location. Anyway, I still interest to know if anyone know any -ve things about IR. Appreciate if anyone can answer to doubt of the extended area. I would like to be part of the resident community also. The sky villa reach level 11. The shoplot also nice. The are new progress photo in the web. Oh ya... The sales informed me that they will built the unit to the extended aread directly. So, no need to wait for additional 3 months for contracted renovation after VP. It is a good news if the extended unit will b build together. When was the developer inform you? About the outlet to the right of the project. Will the temple still be there or will it be moved so that it can connect to Yap chor ee road ? anybody knows the latest progress ? Hi, SC, they informed me in April, when I went to their office for payment. But I don't know how they can ontained OC by this. They said they have high confidant. What I know is, developer will only built the road until IR gate. The rest will be depand on the developement on the behind IR, which is belongs to other developer. I heard is belong to BSG, but not sure. That means there are no road connected via Minden Height and Gelugor as the IR main entrance/gate has been shifted from side (as shown in prototype model house)to behind Palzzia commercial building. Isn't it? I guess so. So call cost saving. Don't know if Ideal Homes willing to share the cost saving with the buyers.... hehe! The road maybe in furture. Pro & cons. Pro is, we will have 1 more route to go to Minden. Cons is, the road will draw heavy traffic to the IR junction. There are Palm Palladium, University Height, A flat and other landed residents. Anyway, it is not up to us to decide. I will inform all the owner if I have time to form something like website to have our initial resident community for IR! Hahaha... it's nice that we can work together towards our dream house! The extended area questions... I have no exact answer yet even I asked around for friends living in apartment with same condition eg. Putra Place. However, our house is now fully extended with nice 2'x2' tiles. According to Ideal admin, they have confident in obtaining OC and there is no hacking after OC for the extended area. Another good news is IR admin said that the strata title will be issued as soon as possible too. I hope it's true. That's great! pls inform us when your website of IR resident community is ready. Hopefully the OC will be obtained earlier since they have save the time for hacking after OC for the extended area as initial plan. It is alright to have the blessing from the temple... hahaha! But soon or later, the road will be built. Maybe we can suggest Ideal Group to visit this blog to clear all the doubts and provide updated progress. Soon, Bukit Gambier will turn into a modern township. huh... don't pressure me on the website creation. I'm not in IT field but I will try. Haha! No hurry! But only few of us here, any idea to get more involvement from the rest neighbors? hi, i am just bought the IR last year and would join you guy held up a forum for the IR, i will support you all, below is what i get info from the sale person for the attractive point. 1) 11ft6inch celling height will build, ( nearly like the supercondo standard where is 12ft). 3) full johnsonsuite bath set include the bathtub. 4) full height tile in bathroom. 5) all the corridor cover with high quality tile. 7) nice and high quality lockset and solid timber door. if have any doubt just pin me. may i know this forum IR owner which floor you bought? 8. Direct acces from car park your level. No need to change left. 9. If you bought additional car park, it will be side by side. 10. Having Palazzia in front is an advantage. 11. Nice recreation area (not as showed by the model unit. The revised version is better). 12. Great for those wish to stay in more green area. The air is more fresh. 1. Swimming pool above car park. Potential problem in future. 2. No internal service (wifi?). 3. Only can access through Yap Choi Ee road. 4. No wet market in walking distance. 6. My unit no view. Only a jungle to see. 7. Also, the air well might not big enough to provide sufficient sun light to lower units. I removed the bathtub as I need bigger bathroom space. But no rebate on this. Mine is middle level unit. Lets reveal our unit when we hav our community website. No worry lar... why need a wet market in walking distance. Else we will be trap in traffic likewise in area like Lip Sin. I will say NO to that. Internet service? No worry, probably PenangFon will come in service for sure. Dun put worry on swimming pool on top of carpark, almost all condo/apartment with swimming pool are on top of carpark! Put less worry on this sweet home and enjoy more! Btw, can we request to remove bathtub? I asked so but rejected by Ideal. One thing for sure that developer is providing quality tiles from White Horse, I saw it at the site and sales office. I am not worry actually. I appreciate the current surrounding. As Yap Choi Ee road is wide with smooth traffic, actually don't have problem to drive to the nearest market. I saw a mobile market on a small van selling vegetables at Gambier Height. Probably they will provide the service to IR too. They reject your request to remove the bathtub? They actually called me for that. Also, they offer to hack the wall between the maid room and wet kitchen, but I reject this one. This was last Dec. You may verify with them again. Unitl today, I am quit satisfy with their service and the promise. Hi, friend, why not you give yourself a name so we can recognize each other one day? Hi,Mine is at high level unit.So far, I never received Ideal homes call for removing the bathtub. How about the shower screen, do they still provide after you considered to remove your bathtub? Regarding the carpark location, the developer will call all of the owners to draw their own carpark lot. I doubt if there is any traffic light will build at the T-juntion of Palazzia, so we no need to take a big U-turn at the Petronas station if we travel from Bukit Jambul/Bayan Baru. I've just called developer, she said yea, last time can remove the bath tub and some customization work. However the contractor now said they are going to charge extra and dev are not going to absorb the costs.. She will get back to me on cost incur(if owner will to pay). Well, you may recognize me as IP. Well, Joe, I received the same feedback from IR sales person too that the customized request such as removing bathtub will be charged to us. I don't know that there are any shower screen. After the removal, they will make the master bathroom same as 2nd bathroom. A triffic light? Never heard about this. If still can do the customization, I would like to add more electricity & air-con points, even charges required. Hope they can let us know before plastering. I am also one of the buyer of Block E on the lower level. Great that we can get together and interact on the going-ons. I also inquired if the bath tub could be removed but they said no. Hope you could update on the extra charges incurred when they allow it. I'm owner of low level block E. My name is AF and want to join your forum. nyone checking with the developer on the customization and the additional costs? Appreciate your feedback. Or how and whom to contact? Shirley-IR just get back to me , she said last time, they did do some customization such as bath tub, and remove certain wall, because at first contractor said FOC... but after they done, they said they going to charge. I'm owner of top level block E. My name is fireball and want to join your forum. Hi Joe, did they inform you how much is the cost to charge for customization? As your unit is at the top, which nothing started yet, could you may to confirm if customization allow for your units? Just drove pass the site a few times yesterday. The sky villa is already higher than block C and D, which could be level number 13 or 14. The progress is very fast as block A & B were also almost reaching the top and block C & D already building the roof of the top. Hopefully they can bring forward the completion date to early 2009 coz I just can't wait to stay in asap. I have re-study the floor plan for the facilities level and the road last weekend, this remind me that the road besides IR will be single lane (for each direction), not double as showed in the model unit. The single lane road will only connection to the IR gate. The road will only expend to double lane in future if there will be any project behind IR. Hi, I'm the owner of the higher level of Block E. Just joined this forum. My name is JR. I've also approached the developer regarding the customization cost, but they still haven't come back to me yet. I have tried last night to create the resident website. Let me have the trial and confirm the setting before I invite you all to join in. This website will be strictly for resident of IR and hope that we can share more among ourselves. So, how is the roof for condo villa? what is the estimation height of the roof? approximately reaching which floor of Sky Villa? So coincident that I also trying to create a free website, but not so successful. Will wait for yours. I will find some time to take some photos on the site coming weekend. If the web ready, we might able to upload the photos. Anyway, how you ensure strictly for IR resident only? Need to verify S&P? Haha! Seeing from far, the roof height is about more than a unit height. I will double confirm it as I will pass by the site tonight as well. I am a owner in IR too. There are already progress photo in Ideal's website. No need for you to purposely go there to take picture. But luckily for me, I currently renting in Perkaka so I get to see the construction progress everyday. It gives me the sense of security that the project is still alive and on-going. Hehe. Hi, IP, the roof hight is about the height of level 12 (community hall) of sky villa, by observing from the ground. Can anyone confirm with IR whether they are going to comply with the Town and Country Planning Act 1976 (Act 172) of erecting telecommunication structure <12m height on the rooftop? If the unit size is not similar to S&P, then IR would not be able to obtain Certificate of Fitness of Occupancy (CFO formerly knowned as OC). This would be a disaster that are unlikely to happen to reputable developer. Whether Cygal Properties or Ideal are reputable is up to anyone's guess? For the 1550sqft, the bathroom size are pretty ok (just nice) when I went into the site a few weeks ago. Non-workers are forbidden to enter the site but try your luck and of course AT YOUR OWN RISK. Get the safety helmets from Paramount office on third floor of Condo Villa, the one beside USM. No worry. If you look at ur SnP, there is a part where they mention that if you get smaller sq ft that what is mention in the SnP, developer will pay you back. Cant really remember how much per sq ft. However, the good thing is that if the sq ft is bigger than stated in ur SnP, you dun hav to pay at all. It is free. Last week, Shirley-IR mentioned about show unit which will be available very soon and that they will call us once its done. But they only have few unit left to sell. Not sure how true is that. Anyone know about this? I thought the show house was called off? The Sales informed me that in March. The last time I talk with Ideal ppl, they say they will not be doing a show unit because they almost finish selling all the units and there is no point of doing a show unit. But anyway, they might have changed their mind. We dont need a website for discussion do we? We just need a forum . I can hook that up pretty fast. Looking at the layout plan, it looks like there is a sliding door for the entrance to wet kitchen. But it was not included in the specifications.Anyone knows about this? If you can put up forum faster, it's great! I don't have to crash my head to come out with the website. Thanks for your description of the roof, I will drive through to look at it these few days and check it out again. Do I able to upload photos to http://xnetcc.net/photo/categories.php?cat_id=4 ? sure, u'll be able to post/upload image.. just register and post away. I uploaded the layout of the facilities level. Pending review. i went to the Ideal Homes this morning. They still have few units of 1550sq ft. It looks quite nice. by the way, how much was it cost back in year 2005 and 2006? any subsale and how much? I have a unit of 1550sqft, high floor with 2 carparks. Would like to sell at RM460k. The price will hike up again next year when completed with OC. is yours sky villa or condo? which flr? facing yeap choy yee rd, east, north or south? btw, is the main entrance fr yeap choy yee rd? if next yr price will hike up, why don't u wait until next yr only sell? why do u want to sell b4 oc obtained? Actually either selling or not selling is ok. I can wait till oc obtained but if there is buyer now, I'm ok too. I predict the price will be another 5-10% higher after OC obtained. BoneBreak could be a bad person too, nobody know what the future hold for us. if one were to look at the current situation, things are already getting worse but the appreciation of property in Penang through out decades of economic cycle speaks for itself. i have confidence in penang island property. the demand is always there. if u have holding power, don't need to worry of few years crisis. if for own stay, don't need even care about anything as long as u love the place (of course the budget is meet). btw, i have not been to the site but i heard the site is lower than the yeap choy yee main rd. is it true? i personally think this project is so so only. sunway bkt gambir is not selling so well after so many years. The land is lower than Yeap Choy Ee, this is correct. Before the project, there were people staying there without problem. Palazzia front row will be raised to same level as the road. Then the road will go down to IR which built at almost on the existing land level. No big issue as from what I see. I can easily walked up and down at the site. It is also the fact that the units almost sold out, just left a few 1550sf units. I went to the site. The ceiling height is 12ft at level 3 units. The wall finishing is good. Level 2car park ceiling also very high. Level 1 car park also about 10ft. Just, the area facing corridor and air well is a bit dark. There is 1 unit which is almost completed, will be used as showed unit (without renovation) by the end of the year. No project can suit everybody taste. But for me, this guy 95% suit to me in all aspects. 1. No problem for the strata title as the extended area is inside S&P as acessory parcel. 2. Empty show unit will be at year end. You provide a great info! I looked at the finishing too, it's great! The 2'x2' tiles and 1.5'x1.5' tiles in bedrooms are all great. Do you look at the bathrooms? The finishing is also nice and in modern design! I feel the darkness too but probably due to the uncomplete status and the building is in cement right now. I think we better don't risk ourselves to get into the site again, quite dangerous. Btw, I can't see clearly the facilities map that you have uploaded. Is it the latest? Well, I-Regency might not be the best condo, but it's not the worse. The plus point is the location. We are in the centre of the island. 1.5X1.5 tiles for bedroom? I thought 2X2 as well? I saw 1.5X1.5 tiles at the site but I thought it is for kitchen, drying area or balcony. For the maid room, only 8inceX8ince tiles used. I didn't check this in details. Do you think Ideal Homes will entertain my request to upgrade the bedroom tiles to 2X2. I think I willing to pay for it. If you follow the path the workers use, it is actually quit OK. But I agree that better don't risk ourselves as there will be nothing much changes from now on until the end of the year. They have changed the pool layout which different indicated on the S&P. Is there any issue to obtain the strata title later? Yup, I'm pretty confirmed on the tiles sizes as we measured it using measuring tape. I personally don't think it's necessary to convert 1.5'x1.5' tiles to 2'x2' tiles, it's in our bedroom and it's larger than 1'x1' which we normally see it, so it's already a good spec for us. I don't see any condo except those high end condo giving such good spec to buyers. I'm not sure if Ideal Homes will entertain our customized request. I would like to remove the bath tub but were rejected last time. I really can't see the facility map clearly... How many swimming pool? Is it like wading pool, jaguzzi and lapping pool something like that? Btw, do you know what is the club house facility available in Level 11 & 12? I am wondering what would that be. I just know that is a clubhouse. Hi, give me your email and I can send the copy to you. Maybe it will be clearer and the web only allowed certain size of JPG file. I tried t upload the progress photo for Dec'07, Mar'08 and May'08, but only success for Dec'07. Will try again later. At level 11 and 12, what I know, it is just a community/ multipurpose hall. Not really check out the facilities layout in S&P, but I think not related to strata title. The worst is can't get OC. No worry. This is Ideal Homes responsibility to ensure OC can be obtained. Pls send to me as well to pgkiair@yahoo.com. Thanks! Aren't you not going to upload your photos in http://xnetcc.net/photo/categories.php?cat_id=4 ? Share with all of us too.. Thanks! your photo is magnificent! I think you must be taken this shot from U garden. I hv registered the forum but unable to post messages, is it that i need to wait the account to be activated? My own version of progress photos available in our web now. Maybe you need to login your mailbox, open the email sent by the website, and click on the link to activate your account. 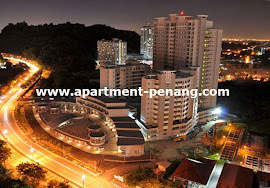 The photos were taken from 18th floor of Taman Utama, the apartment next to U garden. hello all, the bedroom tiles are 15 inches x 15inches, so therefore it's not 1.5ft x 1.5ft. OK. As long as more than 1ft should be OK. However, the tiles need to be homogenous, otherwise, cannot match with the 2X2 tile at living and dinning area. Hi, just book a 1550sqft seaview unit from ideal office yesterday. i was told that they will built the house full size, instead of build 950 then wait OC obtain then build the rest. there are only a few units left, what i remember is on 23rd floor, there are still 2 1550 units. 1200 sqft are all sold out. about show house, i was also told that it is in progress and will inform us once ready. 2nd car park is 15k, you have to pay 2k upfront, and the rest can pay by 4 parts installment.can be pay by c.card too. thats all i can remember for now. Are you able to let me know how much you paid for your 1550 unit? Is it part of the sky villa or condo villa? I am also interested to purchase. It looks like a really good project and nearing completion. which floor you purchased? 1550 sf should be minimum 403K, right? Just want to check whether Ideal Homes increased/ reduced the price. only RM260 per sqft? worth to buy. Only from Ideal Homes. The price as per Dec'07. I think can easily hit RM300 per sf after completed with OC. From the main page, KL condo easily selling at minimum RM500 per sf and increasing. Look like Penang property still a lot of margin to go up. Worth to invest if you got extra money. Delima palace > Bayswater> Palm palladium > the brezza > Regency height > I-Regency > ixora height > d-piazza > summer place > the spring > vista gambier > oasis. Delima palance & palm palace are still the best as it is low dense and big size. Interior structure are very very nice. Bayswater, the brezza & regency height are in good grading but high dense with about 500units (500u * 3persons). The others are less prefereble. Which blog? Mind to share with us? This depend on what criteria your are considering the most. From the sequence, I guess there was less consideration on the location and environment. Also, convenient and price should be another important part. Delima Palace should not be in this chart as it is 2400sf and not the same category. It should compare with The View, Platino, Scotland Height..... those higher end condo. Baywaters still OK but over priced. Not much people can afford it now. The Brezza is leasehold and located on reclaim land at Tanjong Tokong. This limited your working area, unless you are doing sales. Palm Palladium, did not study the design because at first, the location is not in my consideration. Regency Height is good but having traffic problem at Sg. Ara. Also, need to drive up and down the hill everyday. Personally not prefer Sg. Ara. Other condo, no need to comment further. I don't think anyone would sell off their unit right now. Even if you are looking for 1200sqft, the price would be more than RM300k for 10th floor and above with 2 carparks. Why? Coz the 1st hand owner bought from developer has already more than RM300k for 1200sqft, 2 carparks at floor 13. I have a unit at Block E (1200 sft). My unit come with private garden (600sft). I bought when they had their pre-launch on year 2005, Feb. Thinking of letting it go but dunno what is the market price for my unit right now. the price of the house, after discount is around 400k. mine is the sky villa. you can call up their office and ask, they open 7 days a week. the developer gives another 2k of discount on top of the 28k. so means total discount is 30k. mine is on the high floor. 18 and above.